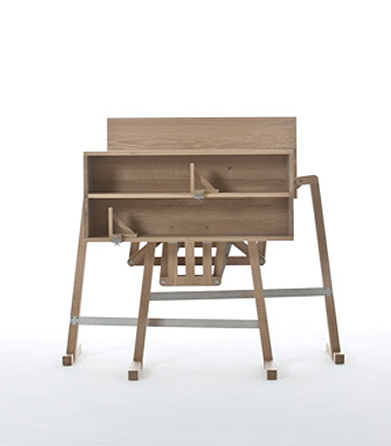 Walking bookcase by Wouter Scheublin. 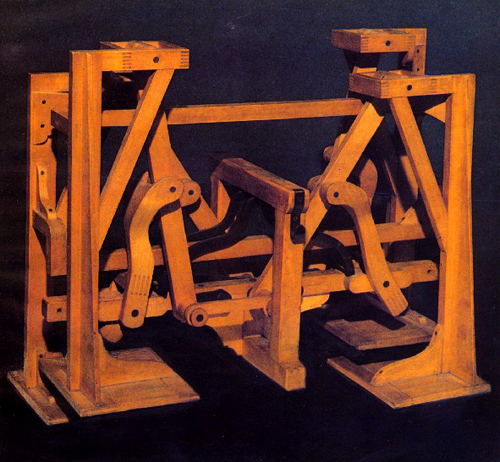 “The movement is based on the principles of the walking platform devised by 19th century Russian mathematician Pafnuty Chebyshev… when pushed, the legs carry the object along using a complex system of cranks, links and connecting rods. Photo below via cyberneticzoo. The walking bookcase is one of many interesting handmade objects commissioned for Wallpaper Handmade, but it’s the one I liked the most. Chebyshev is known as the father of Russian mathematics, and there’s a moon crater named after him. This entry was posted on Sunday, July 18th, 2010 at 11:55 pm	and is filed under art, design, favourite, furniture. You can follow any responses to this entry through the RSS 2.0 feed. You can leave a response, or trackback from your own site.